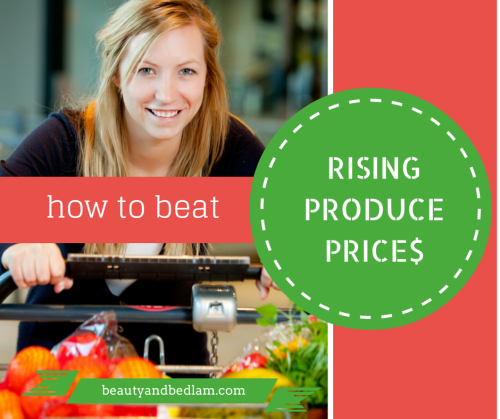 Rising Produce Prices? What's Your Plan? Incorporating whole foods and produce into our daily diet is continually getting more expensive as gas prices rise, weather disasters occur, and a general downfall in the economy continues. 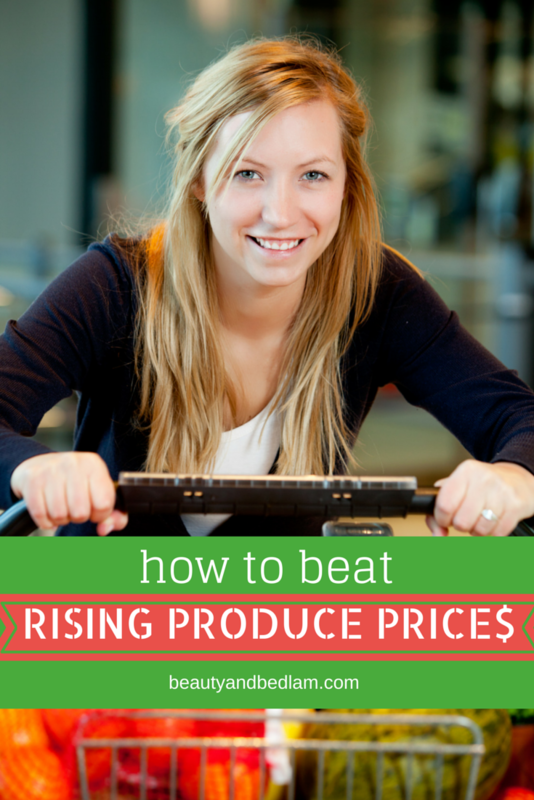 Is this rise in produce prices affecting your meal plan? Are you shopping differently? Are you eating less of it? If there’s ever a time for you to consider growing your own produce, this is the season. You don’t need a lot of land to benefit from some small herb or vegetable containers. A tomato plant in a flower pot on your back step will give you wonderful additions to your traditional BLT all summer long, and basil on the kitchen sink windowsill will provide pesto a plenty. Next week on my blog, I am declaring it NO FOOD WASTE week, where I will be eating and using up EVERYTHING, and produce plays a big part in this task. I have to ask myself if I am being a good steward with the produce that I have already bought, or am I letting it go to waste? Produce goes bad so quickly, that one really needs to be on top of using it quickly or cutting it and getting it in the freezer. Over the years, I have found many unique ways to save on buying produce besides buying marked down produce and growing my own, and now more than ever we’ll need to get creative with this aspect. I would love to include in a future post some of the unique ways you save on produce as well, especially once gardening season is over. I’m thinking ahead. Do you garden in a unique way on limited space, participate in a community garden, CSA, food co-op, barter with a local farmer? Share the ways you save on produce in the comments, and let’s learn from each other. I’ve lately been learning how to use up every last bit of produce. I already was used to saving stuff like carrot peels and onion skins for broth, but now I’m learning about even more creative uses for the bits of produce that are usually thrown away. Recently I determined to use up every last bit of some limes I had bought and found a lot of great ideas online! When I cook up some sweet potatoes I have, I’m going to use a recipe I found on a blog for a snack made from sweet potato skins. 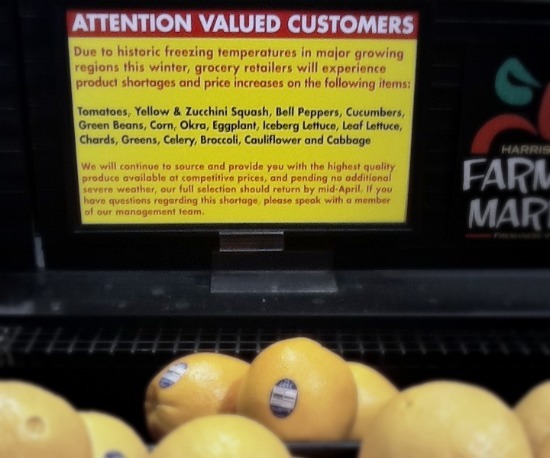 It doesn’t save money on the initial purchase of produce, but it certainly makes it go farther! One way I have found to keep from having waste is to freeze what I can if I think it will go bad… on items such as celery, yellow onions, green onions, green peppers, black olives, etc. For our small family, I cannot always use up the items quickly. But if I put them in the freezer, I can add them to cooking dishes that do not require fresh “crisp” ingredients (such as spaghetti,casseroles, or broths and stews) and save the fresh vegetables for those dishes where it really matters. It also helps to have them cut up and ready for nights when I need to make a meal quickly. I am starting to evaluate all my food items this way – juices, buttermilk, etc. I am amazed at how much I have quit throwing out. The only problem… my freezer is full! I haven’t found any good ways to save yet – looking forward to seeing what others say! I do have one grocery store that I usually go to. But their produce section has gotten really bad lately. I found another store that has much better quality for lower prices. So I go to my regular store for most things and head to the other for the produce. I also factor in the cost of the produce into the food budget. If I’m spending half the budget on produce, then that means I have to be more careful about the other things I buy. Which has actually made our family eat a lot healthier! We just moved to a townhouse and don’t have gardening space in the backyard. So I’m going to try some container gardening and buy some of those topsy-turvy things to hang from the deck and see if I can grow some cukes, peppers, tomatoes … I’m excited about that. I’m also planning to invest in a freezer at some point so I can take advantage of bulk farmers market purchases and you-pick fruits as they come in season. The last thing I’m thinking about is looking into some hydroponic or indoor gardening with grow lights so I can perhaps grow my own lettuce, spinach, and other veggies that I pay a small fortune for at the store. The freezer and hydroponic equipment will require some initial expenditure so I’ll have to save up for that but I’m thinking it may be worth it in the long run. I don’t see prices going down in the future. If you want to extend the life of celery wrap it in foil. This really works! You can also save by buying the frozen veggies and fruits when they go on sale big this time of year because the fresh is coming into season. It’s almost like they are clearing out the stock for the next stocking up season. I look forward to reading all the comments on this. Good topic. Have you posted anything on food storage bags. I was wondering how that might be helpful. Excellent topic! I was just talking with my hubby this morning about our food budget and how to make the most of it. looking forward to what your ideas are. Thanks! Looking forward to NO FOOD WASTE next week! We have a huge vegetable garden every year, and I can, freeze or dehydrate what we don’t eat during the summer. We’ve also been investing in fruit trees, bushes, and vines over time. The trees and vines have been the best value so far. The blueberry bushes haven’t produced anything yet, but I haven’t given up. I always save vegetable peelings for stock, and I check the veggie drawer each night before I saute veggies for dinner. This way I can keep an eye on the fresh ones that need to be used up. I’m working on new ways to use up the frozen veggies from last year that haven’t been used yet like shredded zucchini and carrots. My dh made a new side dish with the shredded zucchini, and I pureed the carrots and put them into homemade mac and cheese. would love to know how you prepare zucchini for freezing — I was always under the impression it didn’t freeze well but would love to have it on hand to add to stir fries, baked goods, etc. And, how can frozen zucchini been used? Is it limited to cooked and baked or can it be thawed and used as you would fresh? Thanks! It doesn’t freeze well. 🙂 However, when I pull out the frozen zucchini chunks, I toss them in the cast iron pan right away and start sauteing them until all the water released from the zucchini has evaporated. Then I’ll add in olive oil or bacon grease. @Barb @ A Life in Balance, I shred mine yellow summer squash and freeze it. Then, When I need a yummy veggies side dish, I cut up an onion, fry it slightly in a tiny bit of butter or oil, then add a pile of frozen sqaush. I love it! Tastes very fresh, and its quick! We’re moving twice this summer, so no garden for me. However, I look forward to supporting local farmers at the farmers market, hoping that their prices will be a little lower since they don’t have to drive as far! I buy a lot of produce at Aldi’s. Granted, their prices have increased too, but I still get better deals there than most places. Thankfully, I also have some neighbors who love to garden and share their abundance! I haven’t had time to garden in the last couple of years. Keeping a stock bag for scraps is something we do as well, usually frozen in a large freezer bag in case we don’t get around to making stock every week. We’ve made really tasty stocks by balancing the amount of mushroom stems and other strong vegetables with lighter ones like carrot peels & herb stems. We’ve also found that brassicas (broccoli, kale, cabbage, cauliflower, collards) tend to make stocks taste ‘off’ unless they’re well-balanced with tomato or another stronger veggie. Speaking as a (beginning) farmer & long-time vegetarian cook, proper storage is key to not wasting the produce you buy (or grow!). A good storage book like Root Cellaring: Natural Cold Storage of Fruits and Vegetables (http://www.amazon.com/Root-Cellaring-Natural-Storage-Vegetables) will clearly explain the best temperature, humidity, and light conditions for fruits and vegetables. Carrots – High humidity, fridge temperature – Store in a sealed plastic ziploc bag in a crisper drawer with the humidity turned up. I’ve had carrots stay perfectly firm and tasty for three weeks+ using this method. Along with carrots, you can store turnips, rutabagas, and parsnips in the same bag. Mushrooms – Low humidity, minimal moisture, fridge temperature, minimal light exposure – Store in a large brown paper bag on a shelf in the fridge (not a drawer). Don’t pack them in too tight or seal the top beyond folding it over once or twice. Never, ever store mushrooms in plastic as they’ll become slimy and mold faster. We keep our mushrooms fresh for up to 2 weeks in brown paper. Most greens (spinach, mixed asian greens, salad greens, lettuce, kale, collards, mustard greens) – Low humidity, fridge temperature – If you can buy greens that haven’t been washed (at a farmers’ market you can ask, at the grocery you can check the label), store greens in a sealed ziploc bag on a shelf in the fridge. We’ve kept unwashed lettuce fresh for nearly two weeks…it really makes a difference! If you buy greens that have been washed already (even if they’ve been dried, such as Dole Salad Mixes etc. ), store the greens in an open plastic bag to prevent a buildup of excess moisture. And if you’re growing your own greens, how you harvest them will have a significant impact on storage capacity. With delicate greens such as lettuces and spinach, cut the stem below the bottom of each leaf. Leaves that have been cut in half will go off much faster than those that are intact. Arugula, Cilantro, Parsley – High humidity, fridge temperature – Mark Bittman taught me this one: Fill a glass half-full with water and place the stem-end of the arugula, cilantro, or parsley into the water. Wrap the entire thing (glass & greens/herbs) in a clear plastic bag (produce bags from the grocery work well here) and put it in the fridge. I’ve kept arugula and fresh herbs (with the expection of basil, which never goes in the fridge!) for about a week this way. Freezing herbs is also easy, again with the exception of basil (blanch this before freezing unless you don’t mind black frozen basil). With most fresh herbs like parsley, dill, and cilantro, simply chop, put in a freezer bag, and freeze. When you want to add some fresh herbs to a soup or stir-fry, simply pull out a chunk from the frozen and add it. Herbs defrost very quickly so no need to thaw in advance. White/Yellow/Red/Blue Potatoes (not yams or sweet potatoes) – Store in a dark place, slightly warmer than fridge temperature, relatively low humidity – My partner and I keep potatoes in an unheated closet and this seems to work well. A cool basement could also work well. Store in a brown paper bag with the top folded over. Minimize the amount of light the potatoes are exposed to (this is key) and (obviously) eat the ones that are growing first! Yams/Sweet Potatoes – These need a slightly higher humidity level than white/yellow/red potatoes, but otherwise identical conditions. We put our yams in a plastic shopping bag, close it loosely, and place the bag inside the brown paper bag with the regular potatoes. They should keep for a few weeks without molding, going off, or losing flavor. Eggplant & Tomatoes – Don’t refrigerate these, it will cause the eggplant to go bitter and the tomatoes to lose their flavor. Unless you have a very unripe tomato, store these on the counter away from direct sunlight. Use within a few days if possible. Otherwise, make some eggplant-tomato sauce and can it! Onions & Shallots – Medium humidity, fridge temperature – Store onions & shallots (with their papery coverings still on) in a medium-humidity crisper drawer if you have the space. You may need to play around with the humidity level a bit (if it’s adjustable in your fridge) to get it right. Garlic – Dark, room temperature, relatively low humdity – We keep garlic (in its papery skin) in a small wicker basket inside a kitchen cabinet we rarely go into. It will keep for months this way. wow! Great information … thank you so much for taking the time to share all these very helpful tips! We’re part of a community garden. We also plant herbs, some greens, and some other vegetables in our flower beds around the house. Beauty and function. I shop at an international market for produce, and I have really good luck at one of my local Aldi stores (the other one is gross), so I buy a fair amount there, too. don’t forget about your local farmers markets! I live in the north east and our local growing season won’t start for a few months, but I can save a ton of money buying from the local farmers. Any vegetables that are getting toward the end of their life, I throw in a pan, usually along with a can of flakes of chicken, or something else, and make a stir fry. Or even just have the vegetable stir fry. And, I put all my peels in our compost bin, that my husband made me FREE from wood pallets! Yeah!!! I might be moving this summer so no growing for me. But I’m blessed to have a daily farmer’s market in my small town. I think the prices are either the same or slightly lower than the markets, but here in TN we pay sales tax on food in the stores, but not at the farmer’s market, so at least I save on that. Plus since the produce doesn’t have to travel as far, it tends to stay fresher longer, and tastes much better too. The farmers who sell have told me that much of the produce that is sold in the stores are varieties that are raised to stay fresh during long distance shipping, but not raised for taste. We buy alot of our product at the International Store off of Market St. in Greensboro. They have really good prices and a wide variety or fruits and veggies that you can’t find at other stores. Also spices are cheap there. Be prepared its like going on a field trip if you haven’t been before. We love that store. We buy alot of our produce at the International Store off of Market St. in Greensboro. 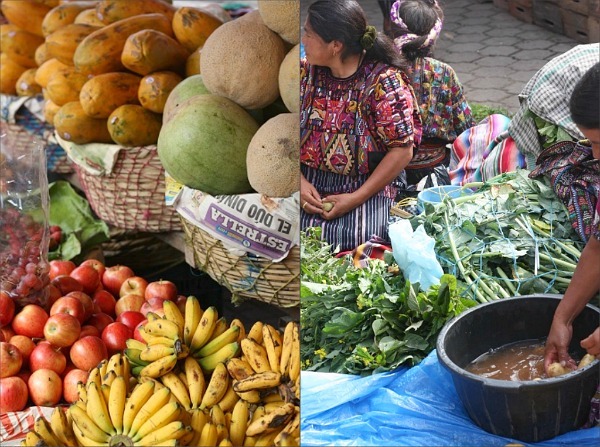 They have really good prices and a wide variety or fruits and veggies that you can’t find at other stores. Also spices are cheap there. Be prepared its like going on a field trip if you haven’t been before. We love that store. Buy seasonally would be my tip. I noticed those veges in the pic would be out of season for you in the US as they have all just finished their season here in Australia. I love the green vegetable bags (I forget the “Brand”) They really do work, I had some lettuce that I put into one the first time I ever tried them and it stayed fresh and good for 3 weeks. I was hooked, they really are amazing, you can reuse them, but after a few uses you need to replace them because they don’t keep it fresh for as long, but I bought mine for $10, and they lasted for about 6 months or so. We also use some of our produce to trade for honey. We have gotten our first chickens so all our scraps go to them. I think being flexible with recipes really helps keep food costs down. For instance, if I have some mushrooms left over from our Friday night pizza night, it doesn’t really matter what I fix for dinner on Monday, we’re going to have mushrooms in it or sauted to serve on the side. If I want to make eggplant parmasean and I don’t have eggplant but do have squash or zucchini, I will just use that. I have found a good way to store cilantro for 2-3 weeks is to immediately trim the ends right up to the first cluster of leaves. Then, I wrap everything tightly in a paper towel and put everything into an air-tight plastic container, and then into the veggie drawer of the refrigerator. I’ve noticed that as it gets older, it looses some of its fragrance right out of the fridge, but when I chop it up, it’s as good as new! This is a nifty way to store PINK grapefruit. Run a kitchen sink HALF full of water, add a cup of bleach, drop the grapefruit in and leave for an hour. Remove the grapefruit & dry completely before storing in the fridge drawer. They will get very mottled & brown, but that is okay since they last for months and continue to get sweeter as time goes on….as sweet as a lot of oranges. I have not tried this with other citrus yet, but would think it would work just the same. When bell peppers, and color, but esp. the red, yellow & orange ones are on sale. I stock up, prepare them for the freezer and the freezing makes them cook just that much faster. I keep a decent sized container in my freezer that I drop the odd bits and pieces of leftover veggies or produce into and once I have a good amount frozen, it makes for a fast homemade soup. Just be sure you cut things up the right size before you freeze them. I keep a separate container in the freezer for bits of onions and peppers that I add to many dishes as I cook where the freezing will not affect the taste or texture. If you want to use just part of an onion…and we all know onions are quite expensive any more….cut off the stem end and leave the part with the root end and it will last ever so much longer in a plastic bag in the fridge. This really keeps them fresh as if they were never cut. Just continue to cut the *raw* edge if you just need a few thin slices and leave that root part undisturbed. I have a heavy cotton bag that says Fresh Produce on it. When I wash up a large head of lettuce, Romaine or iceberg or the artisanal types , I wrap them in a very absorbent tea towel and then place them in the bag. As long as there is moisture in the bag, the leaves stay very fresh & crisp. Sometimes, if I haven’t been using much lettuce, I re-wet the bag. If it dries out, you will have dehydrated lettuce since the fridge remove so much moisture. If you ever buy those fancy little heads of lettuce, a favorite at our house, when you get them home, take them out of the plastic container, rinse out the container, leave a little water in the bottom & replace the heads. If you are religious about this, they will stay very fresh for a very long time. Just rinse them out and replace the water. When I get bananas on sale, I allow them to set out until they have lots of brown spots, or sugar, and then freeze them in a plastic bag. If anyone wants a smoothie, I use them instead of ice cubes in the blender and it makes for a very ice creamy treat. After the gym, I add protein powder and oftentimes add frozen strawberries. I noticed, in the blog, the vinegar on the berries item. This works beautifully & I have been doing it for years. Just remember when storing anything in the fridge, keep that fridge sparkling clean. That will keep the produce fresh longer. ALSO, use a separate drawer for fruits and veggies…never store them together since most fruit lets off ethylene gas that hastens ripening and rotting. Oh my – I think I need to copy all your wisdom into a post because there are SO, SO many great ideas in here. Would you mind if I shared some of your ideas? I know people would love it?